Federal prosecutors subpoenaed the Trump Inaugural Committee on Monday for “documents related to all of the committee’s donors and guests; any benefits handed out, including tickets and photo opportunities with the president; federal disclosure filings; vendors; contracts; and more,” according to a source who spoke with the New York Times. 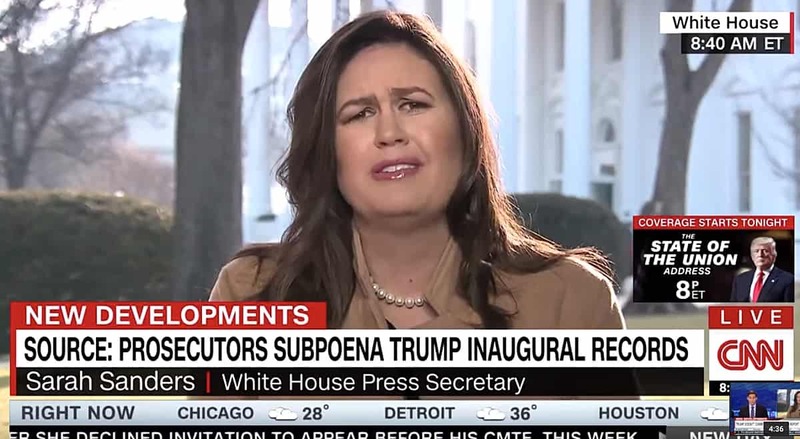 The subpoenas expand an investigation that had already begun into the inaugural committee over illegal foreign donations. Late last year, ProPublica published a report asking whether Trump’s inauguration was a money laundering operation with Ivanka Trump in the middle. Berman was also joined by Greg Jenkins, who ran George W. Bush’s second inauguration, and said the money trail baffles him.